“What am I doing?” Have you ever had one of those moments – maybe days or even weeks – of clarity when you realize that what you are doing is not moving you towards your long-term goals? Your actions, your job, your daily routine are taking caring of some immediate need, but are doing nothing to help you fulfill some greater purpose. 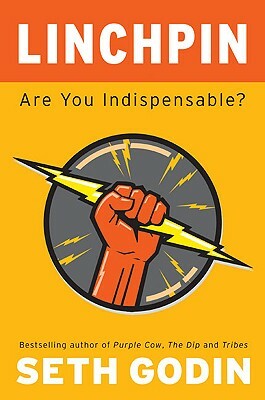 Seth Godin tackles this subject in his slim volume, The Dip. He offers a simple idea: maybe we should be quitting, quitting the things that are not moving us towards some purpose, goal or accomplishment. If what you are doing to survive is not moving you towards being the best at something, you should quit the distractions and focus on your purpose. How about you? When you envision your greater purpose, the thing that you were built to do, how do your current activities move you towards that bright future? Are they? Or are your activities putting you in idle, revving your engine, surviving, but not moving you towards your purpose? What about the dip the author refers to? Godin shares that getting to be the best at something requires a lot of time and effort in the trenches, working hard, sometimes in anonymity, moving towards that goal. There isn’t a lot of glamour and prestige in the dip, but if you make it to the other side, you can be the best at something, something that truly matters to you. I was fortunate to stumble upon this book and it challenged me, and even though it is several years old, it is still relevant. I am considering what I need to quit so I can devote my time and energy to those things most valuable to me. How about you? What are you doing, what are your goals, and are you making progress towards them? Or are you just doing what you need to pay the next month’s rent? What will change in your life to move you back onto the right path? Comments? Share what you are doing, not doing and quitting. Maybe you will inspire someone else. Author Bill FlorinPosted on October 23, 2011 Categories career, goals, motivation, performance, strengths, talent, workTags Book Review, Seth Godin, The Dip1 Comment on Quit It!